Brooklyn teens will begin their memorial to slain teenager Trayvon Martin on July 16 when they begin painting a100-foot mural on the wall of an East New York laundromat. This is New York’s first project whose goal is to insure that history does not forget the tragedy of 17-year-old Martin’s death, which occurred when an Sanford, Florida Neighborhood Watch captain mistakenly shot and killed the boy, saying that the hoodie-wearing teen boy looked suspicious to him. At first the Watch captain, George Zimmerman, evaded arrest, saying that he had a mandate from Florida’s controversial “Stand Your Ground” law to shoot anyone who appears threatening. As a result of the death a national debate erupted, forcing Florida law enforcement to arrest Zimmerman and charge him with second degree murder. 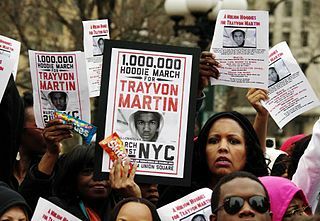 Zimmerman was accused of racial profiling, and Zimmerman’s young face began to appear on t-shirts and posters around the country to promote awareness of the problem young black teenage boys face in the United States. 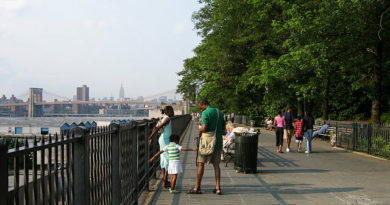 The mural will be painted on the wall of the New Lots Laundromat under the elevated IRT number 3 train in East New York. This mural is just one of many street art projects appearing across the country, particularly in black neighborhoods. The mural will be painted by seven young artists, who will present to the public their outline for the painting in the middle of July, which will most likely be a depiction of Martin in his signature hoodie. “It goes back to hip-hop and how people dress. When you see that hoodie, it signifies what people think about our young men in our community,” Green said. Shortly before his death Martin took a photo of himself in his grey hoodie and posted it to his Facebook page. After his death the photo went viral, and that is the image which has become the symbol of black teen frustration over the incident. State Senator Eric Adams, Democrat representing Crown Heights, used the picture on his own June 7 flyer which invited young people from Brooklyn to a rally to protest against a “Stand Your Ground” bill which is losing ground in Albany.